It’s hard to believe but the great boon of pension income splitting has now been available to Canadian retirees for a full decade. The Harper Tories introduced it in 2007, partly as a salve for the controversial Halloween 2006 crackdown on income trusts. I don’t hear much these days about income trusts but the combo of pension splitting and the 2009 introduction of TFSAs has certainly been a welcome addition to the arsenal of retirees and semi-retirees. Pension splitting can generate many thousands of dollars in additional after-tax income for retired couples, particularly if – as is often the case – one of them enjoys a generous defined benefit (DB) pension and the other does not. I happen to know a retired boomer couple in their early 60s who are in exactly this position. In this case, it’s the woman with the high DB pension and they happily admit this one measure alone puts thousands more after-tax dollars into their collective pockets each year. Pension splitting is based on the fact that Canada’s graduated income tax system imposes far higher rates of tax on big earners than on modest or non-existent earners. Pension splitting can result in a highly taxed income and a low-taxed one being merged (conceptually speaking) into what amounts to a modest mid-level amount of tax for the couple as a whole, putting thousands of extra dollars into the family’s collective pocket each year. Up to half of the higher-earning spouse’s eligible pension income can be in effect “transferred” into the hands of the lower earning spouse: not literally but for tax purposes. The tax benefits vary with the marginal tax rates of both spouses. According to a Grant Thornton tax planning guide on pension splitting, the optimal allocation may be less than the allowable 50% maximum. It cites the example of someone who earned $90,000 in 2015, of which $60,000 is qualifying pension income. Your spouse has no pension income and only $5,000 in other income sources. In this case, the higher-earning spouse can allocate up to half (i.e. $30,000) of their pension income to their spouse. So the taxable income of the big-earning spouse has now fallen from $90,000 to $60,000, while the lower-earning spouse will now report taxable income of $35,000 instead of $5,000. The big earner has less income taxed in the top brackets while the small earner is in a higher bracket than before but viewed as a whole, the couple is paying less tax overall. With pension splitting, the couple with the $60,000 pension ends up being treated exactly like a couple with two $30,000 pensions. 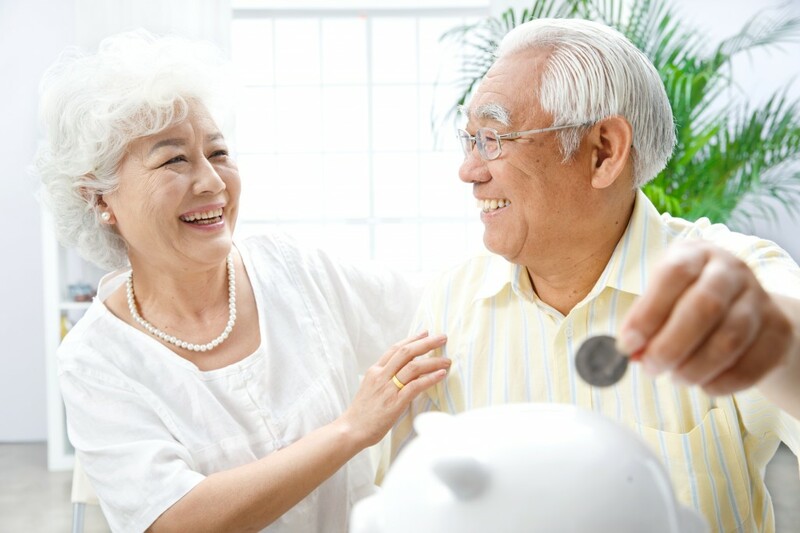 The bonus is that both spouses can claim the $2,000 pension income credit and the higher-income spouse may no longer be subject to clawbacks of Old Age Security. This is all perfectly legal and accomplished merely by electing to declare your income this way each year when you prepare your tax returns. Because it’s a “paper transfer,” you don’t even have to write a cheque or hand over cash to your spouse. To implement pension splitting on your tax forms, you and your spouse must sign a special election form (T1032): if you file electronically keep the form on file should the CRA ask for it. While I used the common example of a spouse with a large DB pension, employer-sponsored Defined Contribution (DC) plans are also considered eligible pension income for pension splitting purposes. But even if neither spouse has an employer pension, couples can still benefit from pension splitting, provided they pay attention to the rules (which can be found at the CRA website here). Apart from the need to have eligible pension income, you must be legally married or in a common-law relationship and you need to be a Canadian resident at the end of the year you received the eligible pension income. Unfortunately, neither CPP nor OAS benefits qualify as eligible pension income for pension-splitting purposes. Many couples may need to wait till age 65 to benefit from pension splitting, at which point eligible pension income includes lifetime annuity payments under a Registered Pension Plan, RRSP or Deferred Profit Sharing Plan (DPSP) and payments from Registered Retirement Income Funds (RRIFs) and Life Income Funds, according to Grant Thornton. For those under 65, eligible pension income includes lifetime annuity payments from an RPP (i.e. payments from your DB plan or DC plan if you purchased a life annuity) and some payments received when a partner dies. For couples lacking an RPP, consider the following planning technique suggested by certified financial planner Aaron Hector (of Calgary-based Doherty & Bryant Financial Strategists): Convert at least a portion of their RRSPs into a RRIF once they turn 65. This lets them take advantage of pension income splitting and the pension income tax credit. Converting $100,000 from an RRSP to a RRIF typically can provide $4,000 of income, of which $2,000 can be allocated to each spouse to claim the pension income tax credit. Note too that any income tax withheld from your pension income will be reported on your spouse’s return, proportional to the amount of income being split. Grant Thornton provides the example of a couple that opts to split 50% pension income, on which a T4A reports $10,000 deducted for income tax. You will report 50% (i.e. $5,000) of this as tax withheld, while your spouse will report the other $5,000. If you split only 30% of the pension income, just $3,000 of tax withheld would be reported on your spouse’s return. As Hector notes, couples who have failed to split their pension income can go back and adjust their prior-year tax returns going back three years. Remember, though, the lower earner cannot receive more than 50% of the pension for tax purposes: unlike spousal RRSPs, which are not constrained by any maximum. We’ll look at spousal RRSPs in more detail next time. Pitfalls of do-it-yourself financial planning Is it a good time to bring your U.S. 401(k) or IRA to Canada?